Making Bakeries and Confectionaries is definitely a big art which you need to nail it. Most of the people think that people who work in bakery do not need to do much work in the bakery but dear they are absolutely wrong. The work in a bakery shop is way much more than the normal cooking. They need to get up early in the morning to make some, sweet lemon tart or cookies which you can have in your breakfast. Here is some Catering equipment in India which every Bakery needs for their shop. Combination Oven – Bakery means each and every item you prepared to need to be baked for which you definitely need an oven- convection or combination. Combination oven really can make your work easier. They can help the dish to grill, steam, as well as even, can bake. This one of the most obvious investment, which most of the small bakery owners does. Convection Oven – Convection Oven is more talked about as because they include some more functions as well as cooks food in a better way. The food is cooked with properly and no other equipment can provide you with the exact result so as like convection oven. It provides you high and efficient cooking capability. Commercial Mixers – There are different kinds of commercial mixers that are out now by the Kitchen equipment manufacturers in India. But, to give you a proper information you must know that this is not common or general mixers which you use for the daily purpose. It is something better than that the regular ones. The mixers are used to do a lot of things like to whip up cream, preparing dough, mixing the batter of a cake, and preparing different kinds of baked goods. No matter what kind of baking dish you want to prepare but these mixers will help you to prepare some flawless mixture which can be used to bake any cake. 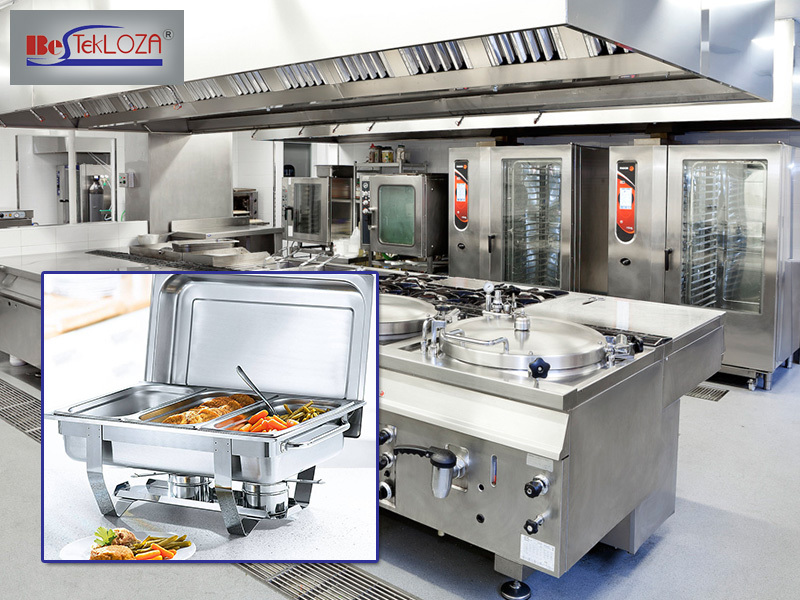 Pizza Equipment – You might be thinking that in a bakery what is the work of Pizza equipment? So, to answer that, you must know even bakery shops need pizza rollers, dividers and even proofing drawers to make the perfect dough. Make sure that it must have proper air pockets to attract more and more customers to your bakery shop. Along with it, you can also use proofing drawers which are generally used to the proof dough for making bread or any kind of baked dishes which is included in the menu. Blast Chillers – Cooling your cakes, smoothies, sauces, custards are one of the important things which are needed definitely in any bakery shop. At every step, while you baking you need a place to cool your mixture and also you required to provide cool dishes to your customers. Blast chillers are one such equipment which can help you to make the work perfect.